This is the highlight of the Christmas shopping season for our social workers. Every year, the social workers with our TASSEL program get a chance to “shop” for students in need, browsing through a room full of new toys and clothing donated by individuals and organizations. 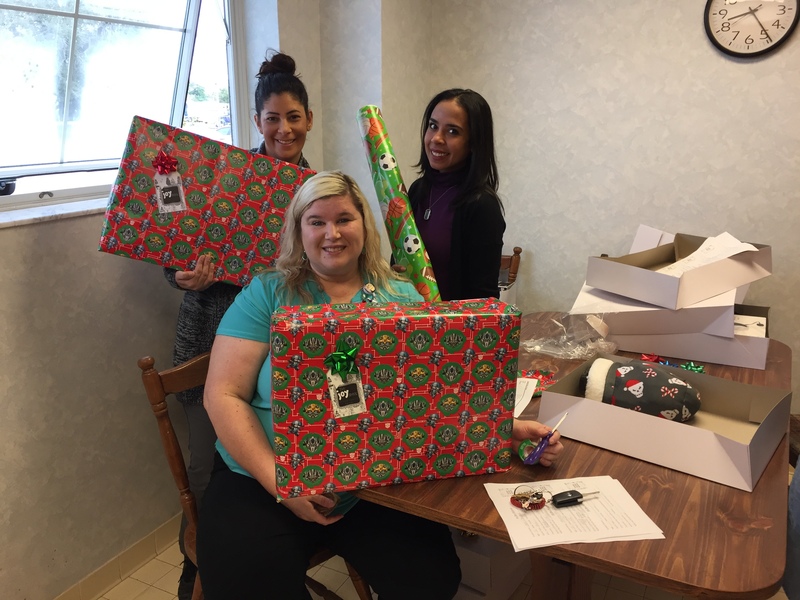 The items are then packaged in gift-wrapped “Joy Boxes” and provided to students of all ages during the holidays. The Joy Box initiative, now in its third year, will serve an estimated 300-plus children this season. “We do this so they will have something to take home that they can call their own. It’s a joy to get something for Christmas,” says TASSEL volunteer Debbie Wright. Joy Boxes are just one facet of the TASSEL program, which assists students with overcoming barriers to attending school. The name is inspired by the idea that through Teamwork, we can Achieve Student Success and Encourage Learning. If you’d like to assist TASSEL by donating items, or want to learn more about the program, please call 863-535-5975. You can also visit them on Facebook at Polk Schools Tassel Project.